This pointe shoe is in the Russian Pointe Spotlight Collection. Make a glowing impression in Entrada Pro, the exquisite marriage of the classical masterpiece Entrada with the glittering new features of the Spotlight Collection. 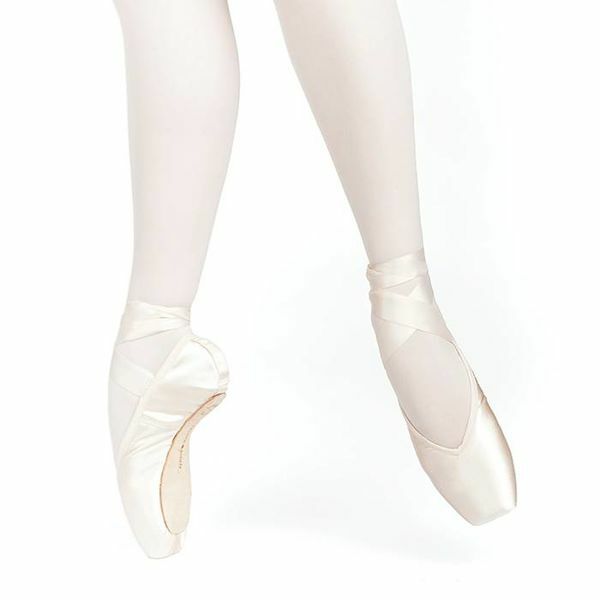 Created on the original Entrada last, Entrada Pro u-cut pointe shoes feature a drawstring, pre-arched construction, a medium-high crown and a medium platform, best suited to dancers with moderately tapered toes and some fullness in the instep or toes. The Spotlight Collection’s pliable shanks and range of six widths and two vamp shapes give Entrada Pro updated style and versatility.